Welcome to the Moerlina School Early Learning Centre. We are excited to be offering your child an inspiring, safe, healthy, play-based learning environment where they will have fun and can enjoy learning and growing. Our 3 and 4 year old children will be offered a variety of play and learning opportunities every day at Kindy. We plan carefully for intentional learning activities and choose different provocations to inspire creativity and wonder in children’s play, both indoors and outside. Our Kindy programs are guided by the national Early Years Learning Framework and the Western Australian Kindergarten Curriculum. 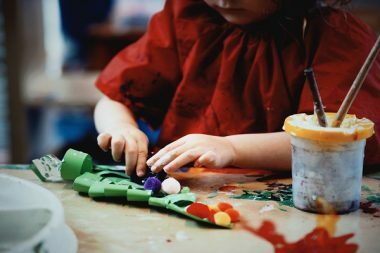 You will notice however, that we incorporate elements of a number of renowned early childhood philosophies, such as Reggio Emilia and Montessori, into our practices to offer a comprehensive Kindy program that supports child-led, multi-age learning. We love to watch the children learning and we love to share this with their families. We observe and record what they know, what they wonder and what challenges them. We then respond to each of them with developmentally appropriate programs that help them grow socially, emotionally and academically. Long term projects offer the opportunity for children to engage in deep learning, where they can make links between what they already know and how it might look in a different place, or how they might use it in a different situation – growing their knowledge and understandings constantly. This deep learning sees us heading out for some fabulous excursions and having some really interesting people come in to share their stories with us. The children also take part in activities with specialist teachers throughout the week in the areas of Music, Visual Arts, Fundamental Movement Skills and Sport. Regular immersion in nature provides our children with an even broader learning experience, incorporating tactile and sensory experiences that research shows is crucial to healthy brain development. Our children take care of their own vegetable patch, explore the natural terrain of our school grounds, play with water, mud and sticks and participate in nature adventures outside of the school. All important to creating strong childhood memories! School in the ELC will start at 9.00am and end at 3.00pm, Monday to Wednesday, for children attending a full day or 9.00am to 12.00pm for those children who have chosen to do half days. Being in a child-led learning environment means that no two days look exactly the same! 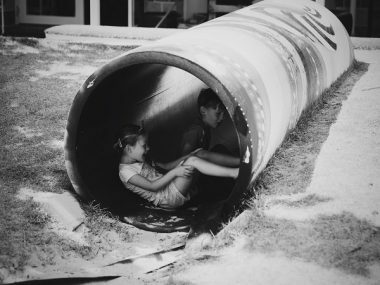 We plan for each day’s activities but are often taken on a new and exciting pathway by the children’s questions or ideas, or even something we might find in our space. 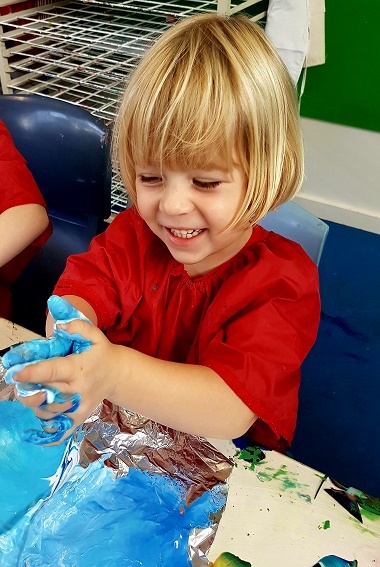 But what we can guarantee is that every day will include a range of stimulating activities that wrap around play and readiness for academic learning in an environment where they feel a strong sense of belonging and have a voice that is valued. What we want most of all is for every child to be excited to learn new things, to discover something they haven’t seen or didn’t know, to be curious about their world. We want to nurture a love of learning and support the social and emotional wellbeing of each child, as the foundation for their future. Best of all, we will share as much of this as we can with our families, who can not always be here with us. We share stories of our days through each child’s Learning Journal and our Facebook updates as well as our classroom displays. 3 and 4 year olds play and work together in our Kindy space. The small group size allows individual attention according to your child’s social, emotional and academic developmental stage, as well as their needs and interests. 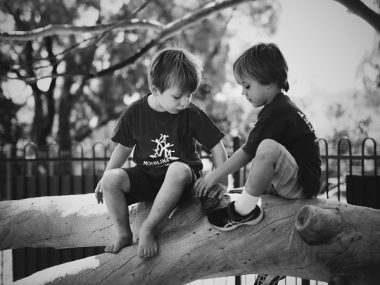 Multi-age learning allows for the development of beautiful peer and mentor relationships among the children in the group. Children can start at Moerlina School as soon as they have turned 3. We accept enrolments throughout the year, if there are places available. 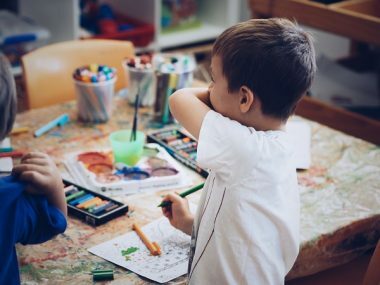 The 4 Year Old Kindy Program caters for children who turn 4 between the 1 July of the previous calendar year and the 30 June of the current school year. Most of our 4 year old children attend full days Monday to Wednesday. Half days can be a good starting option for 3 year olds, allowing them to ease into their Kindy life. 3 year olds can also stay for full days, if and when they are ready to do so. Pre-Primary is the first year of compulsory schooling in WA, for children who turn 5 between the 1 July of the previous calendar year and the 30 June of the current school year. To continue on their happy and successful learning journey, we run a transition program later in the Kindy year for all children who will start Pre-Primary the following year. The Pre-Primary children support the Kindy children in getting to know their new space during organised sessions, and their new teacher, and play opportunities are scheduled to build on all of these important relationships. This familiarity makes coming into the new school year so much easier for everyone. We also hold transition information session for our parents, so you too can become familiar with what to expect and have the opportunity to ask questions. You can find out what Primary School at Moerlina looks like here.